Welcome to Study Campus, your reliable learning partner. Having an expertise in preparing students for different competitive examinations, we have also ventured into preparing students for UPSC exams. We have the best faculty members that hold years of experience in preparing the UPSC students. If you were considering applying for the upcoming UPSC examinations, then join hands with our renowned and trusted coaching institute that is sure to give wings to your dream career. Everyone knows that UPSC is one of the toughest competitive examinations that is very difficult to clear. Thousands of students appear for the examination each year, but only a handful makes it to the last selection round. It is very important that you have the right preparation guidelines from the beginning so that you stay a step ahead of the other applicants’. Looked upon as a premier coaching for UPSC in Borivali, our entire team is dedicated to provide the best learning experience to all our students. A civil servant is one of the most prestigious and respected positions of the current time. If administration and decision making are your core competencies, then UPSC is just the perfect gateway to your dream career. Whether you want to handle the crucial administrative tasks as an IAS officer or want to ensure a robust law framework as an IPS officer, the UPSC examination can open you to a host of new world full of opportunities. 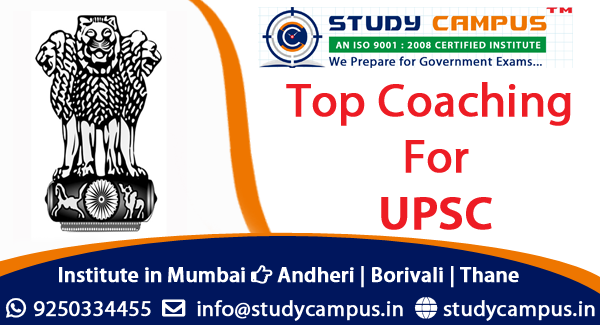 Our renowned UPSC coaching classes in Borivali are counted among the top 5 premier learning institutes across Mumbai. Each of our offered courses has been meticulously designed by industry experts to prepare our students the right way. Starting from a comprehensive and easy to understand tutorial to a series of evaluation tests, we have everything in place to offer a result-oriented preparation to each of our students. Our qualitative teaching methods have brought about several inquiries from students belonging to different areas like the Daulat Nagar, Dahisar East, Navagaon, Charkop Gaon, Borivali (East & West), and many more locations. You can visit our institute to get a detailed insight of our offered courses.